Hey everyone! 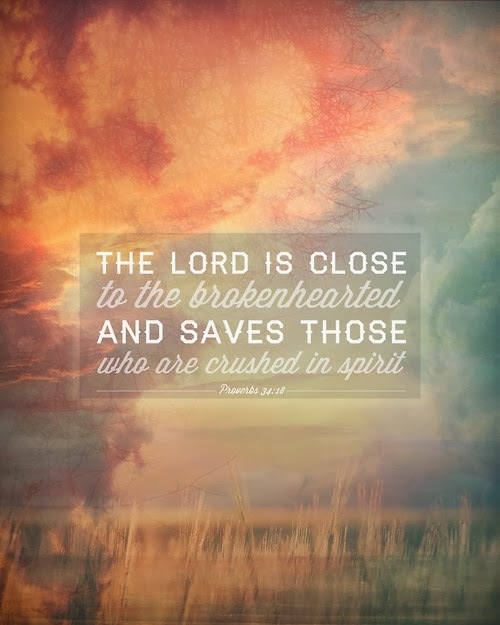 I hope you're having a fantastic weekend so far! I meant to post this yesterday but my day got away with me. We finally have a weekend with absolutely no plans, (woot!) so I am trying to make it as productive as possible. 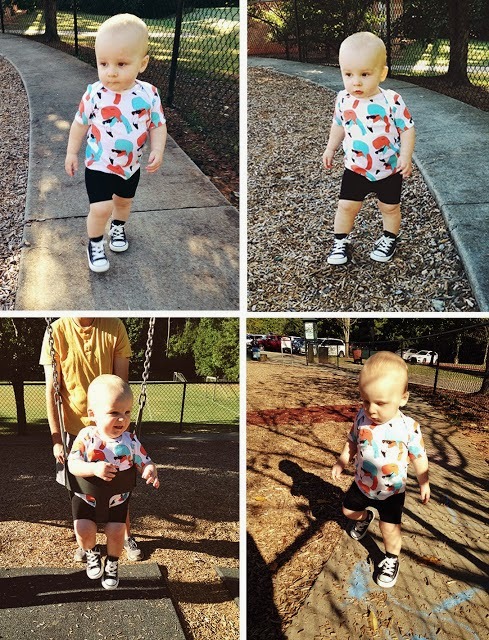 Also, the weather is GORGEOUS right now, so we spent this morning outside at Chastain Park. As you can see, Benjamin was quite the little explorer. 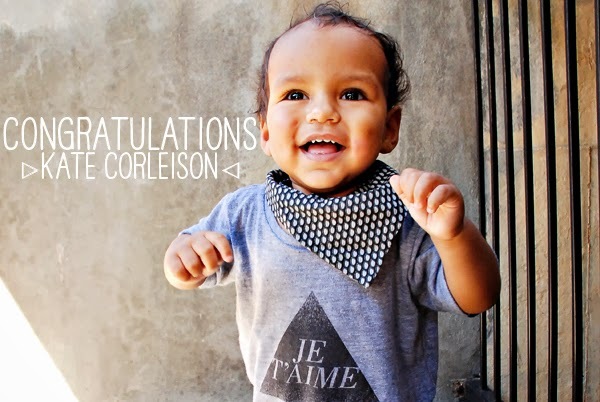 I know everyone has anxiously been awaiting, so without further ado, the winner of the giveaway for a Whistle & Flute Kid's Je T'aime tee is Kate Corleison! Thanks to everyone who entered! Seriously ironic is that Kate is creator and owner of Love, Joleen sponsor, PaperKrane, and we'll be sharing a review of her shop along with a FABULOUS giveaway on Monday!! 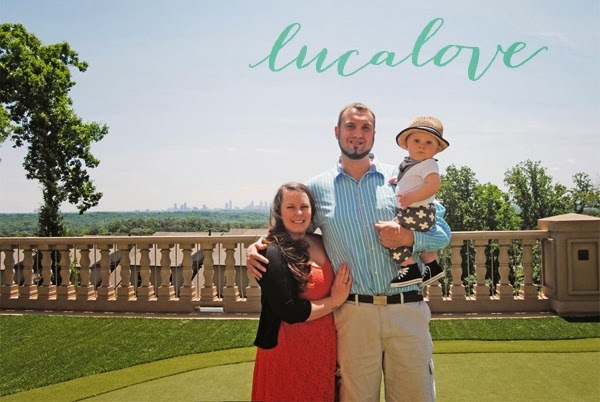 If you missed it last week, here is Part I of September's Sponsor Highlight. 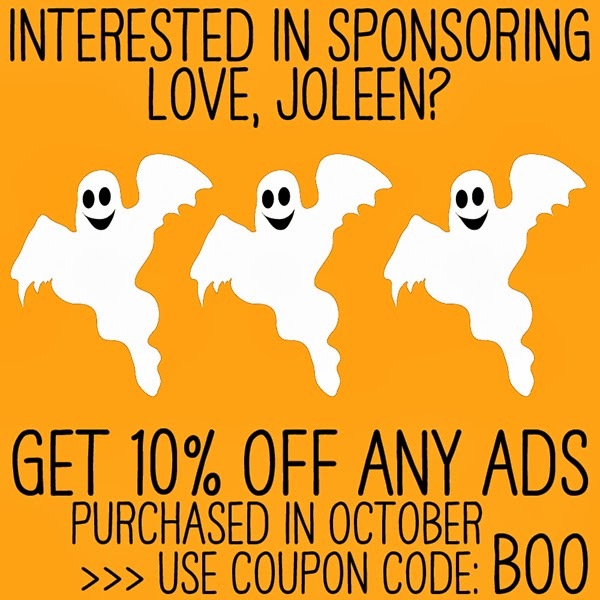 Today's highlight features many of the fabulous blogs who sponsor Love, Joleen. If you're like me, you love discovering new blogs. 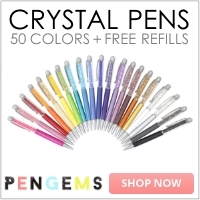 Beginning in September I started a "Blog Love" program offering 3 free small ads on my side bar for up and coming bloggers. I personally read each of the blogs I accept as sponsors and try to add only those that interest me and that I feel would interest you as well. 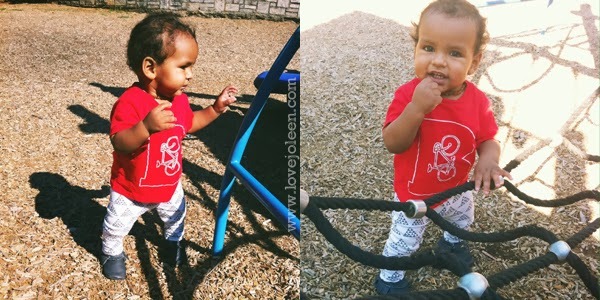 Fawn Over Baby is a new sponsor this month and I was so happy introduce this great blog by having Melissa guest post! I am so glad I'm late posting this highlight (ha!) 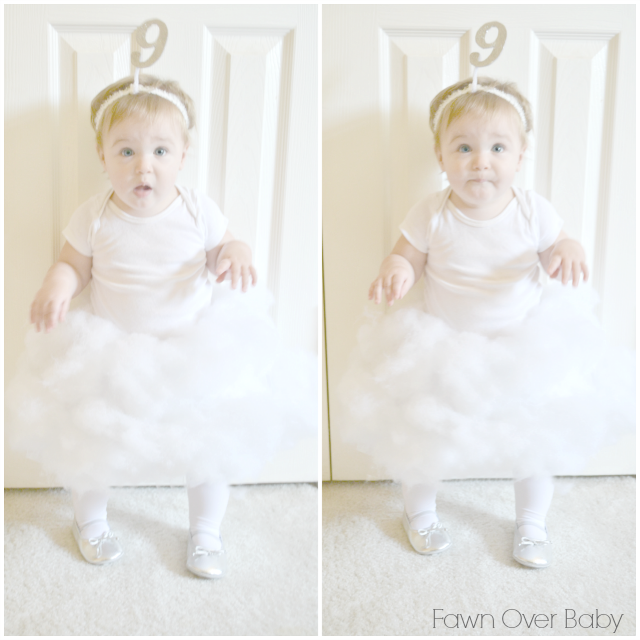 because it means I get to share THE cutest Baby "Cloud 9" costume DIY she's just made her daughter! Ohmygoodness!! Melissa shares so many things I love on her blog, from style trends, to photography, and party planning. 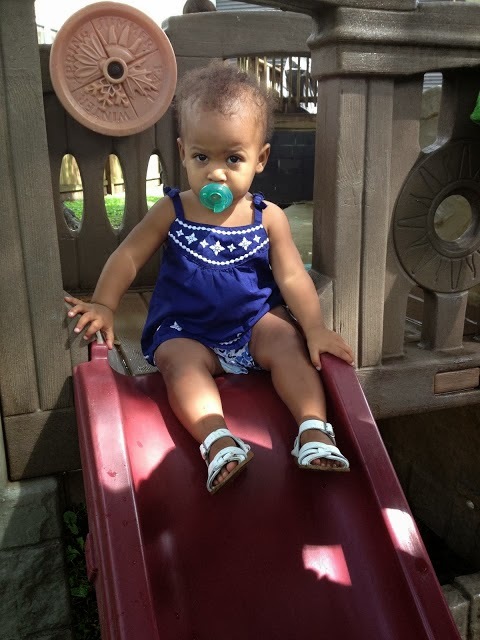 Her daughter, McKenzie, shares her adorable sense of style too. She's quite the fashionista! Also back this month, is the blog While it Rains. 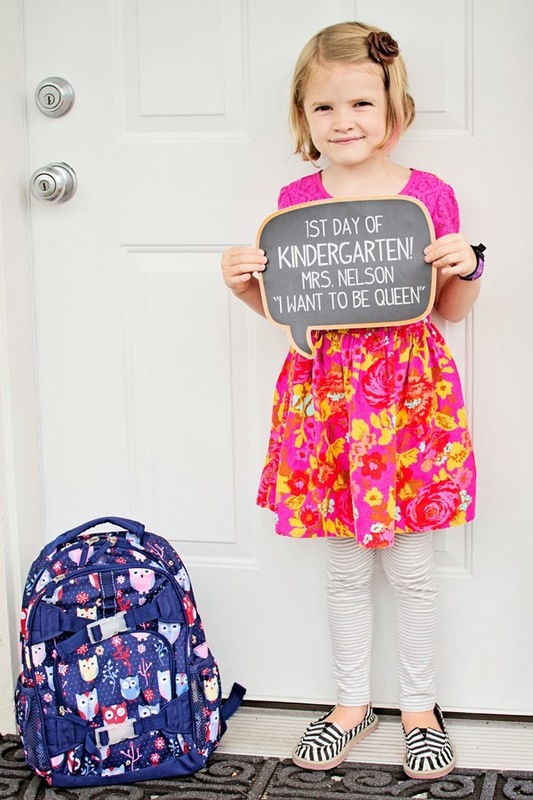 In September Stella and Rowan both started school! Melissa posts their daily school fashion on her Instagram feed and I'm not going to lie, I pretty much want all the outfits for myself. Um, also? 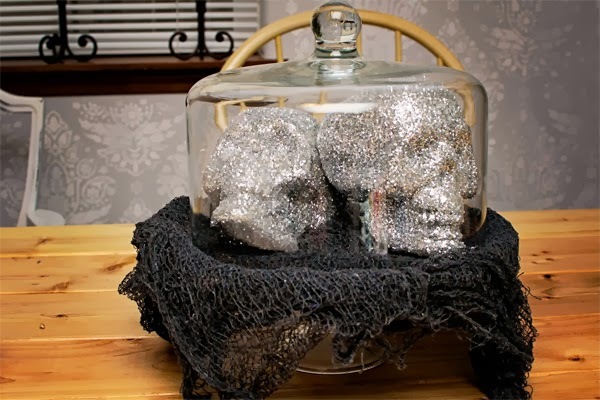 She just shared this super simple and totally genius Two Dollar Glitter Skull tutorial, which I am just dying to do! He he. Are you in the Halloween spirit yet?! Can you tell that I am? Do you remember The Blue Swallow from last month? Well, it's time to update your feeds ya'll, because she's just moved her blog here. (I'm loving the new look, Carmen!) 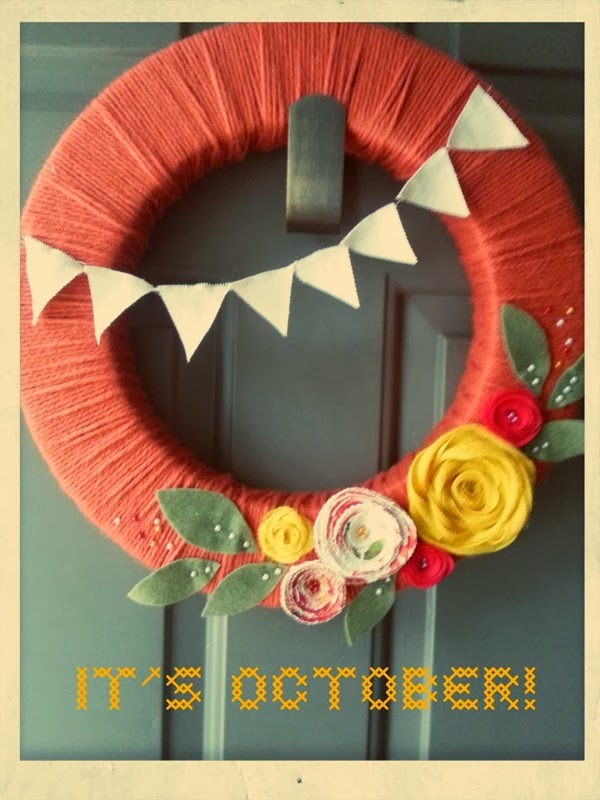 You see this adorable wreath she made? Talk about talent! 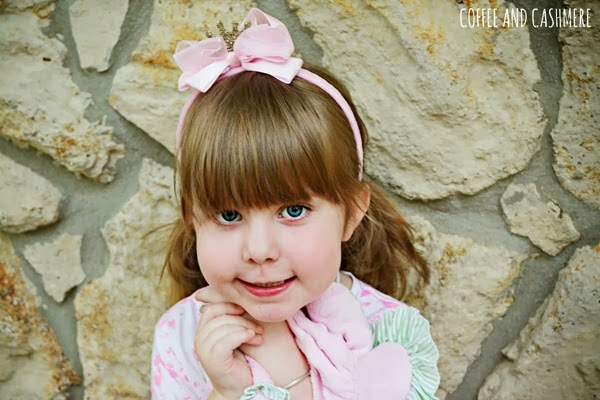 She was kind enough to share a quick video on how to make a burlap ribbon flower and I can't wait to try for myself! Recently Jade, of Coffee and Cashmere, posted about Fear and it was so good! I think we've all been there in some shape or form and I appreciated her sharing this. 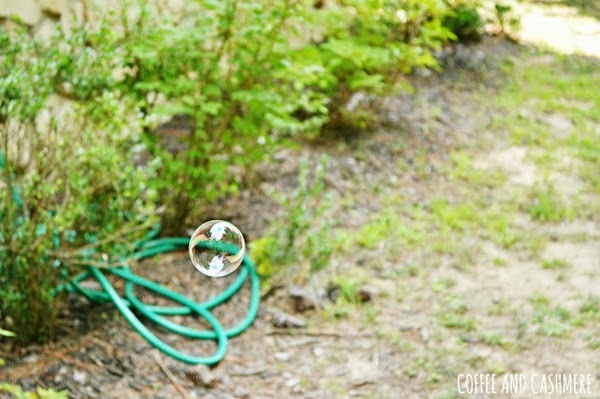 I'm pretty sure we'd all stuff our kids in a bubble if we could. Am I right? Be sure to hop on over to enter the fun giveaway from a company called Mud Pie that's happening right now! 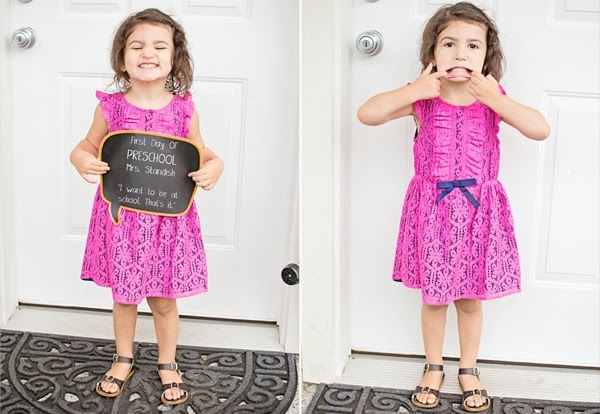 I am so excited to have had Everyday Bay on the blog this last month! Jerika and I met each other on Instagram (my fave. fave.) 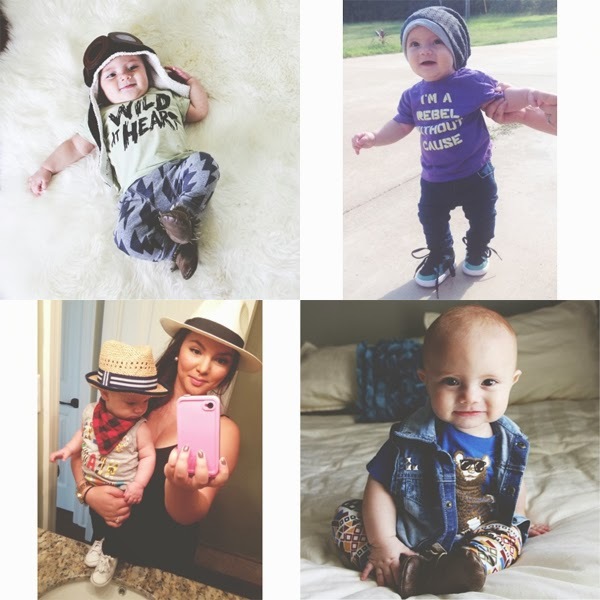 Her son, Baylor, is younger than Benjamin and seriously SO cute! He's built up quite the following with his trend setting fashions, but Everyday Bay isn't just about fashion. Jerika shares also about motherhood and family as well.